Dairy, it seems, is fast becoming a drink of the past. Whilst many have given ‘Veganuary’, (a month aimed to inspire and support people to try out veganism) a go, dairy-free milk sales are on the rise. Instead of consuming cow’s milk with their cereals, the world is enjoying these natural plant-based alternatives. 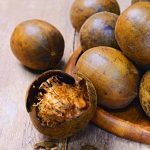 There are many reasons why people may be partial to these delicious concoctions; not only are they animal and environmentally friendly, but they’re also host to a wide range of health benefits that should certainly be explored. 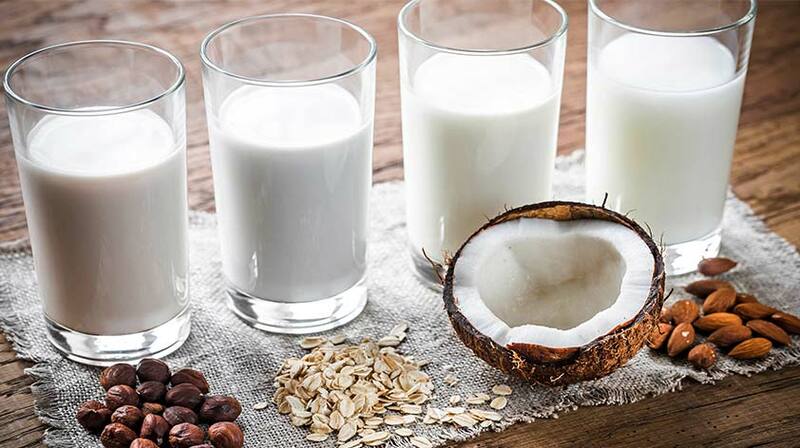 Read on for our 5 Plant-Based Milks and their Health Benefits! If you love porridge and all things oaty, this may be the milk for you. Oats contain a powerful soluble fibre named Beta-glucan, which has the ability to reduce low density lipoproteins (LDL).High levels of LDLs lead to a build-up of cholesterol in your arteries that, when combined with fat, calcium and other substances, can cause atherosclerosis where plaque builds in the arteries and can lead to heart attacks. These creamy morsels are not only delicious as a nut butter, they also make a smooth milk. Cashews contain the monounsaturated fat, oleic acid, which has the capability to increase insulin sensitivity, helping to effectively stabilise your blood sugar levels. The delicately flavoured hazelnut provides for a more luxury milk. It possesses monounsaturated fats combined with polyunsaturated fats, which are fats of the ‘healthy’ kind providing anti-inflammatory effects. Antioxidant vitamin E also protects your body from the effects of harmful free radicals and has been shown to reduce inflammation. This tropical delight is a rich source of medium chain triglycerides (MCT), a type of fat. MCT’s are broken down quickly and can used as a source of energy to power your brain and body. Rice milk is somewhat of an underdog in the milk world. Whilst the other dairy free alternatives catch a lot of the limelight, this subtly tasting milk is only now becoming more popular. Rice milk contains Thiamine, (Vitamin B1) which helps your nervous system work efficiently. 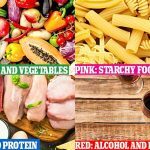 4 Natural Ways to Boost Your Fitness! 5 Great Reasons To Practice Breathing Exercises!